The 2019 A4 is arriving but is still very difficult to find in stock. Orders are of often required. Note that manual transmission is no longer available. Current offers are available nationally and end on April 30, 2019. Returning customers with a 2009 or newer Audi vehicle are eligible for a $1,500 loyalty credit. Or, if you own or lease a competing make, Audi will put $500 toward your new A4. No trade-in is required. Promotional leases start at $389 per month for 36 months with $3,283 due at signing for the 2019 2.0T Premium sedan. This includes an allowance of 10,000 miles per year and has an effective monthly cost of $480, which is a fair value. Even better, by taking advantage of this month’s lease special, you also become eligible for $1,500 lease cash. Audi is offering $2,500 lease cash on Quattro models and $1,500 on other trims. Note that advertised leases for Audi can vary from dealer to dealer, and sometimes feature different equipment, so be sure to look for that when comparing offers side by side. Financing rates start at 3.99% APR for up to 66 months, and there’s a $500 APR bonus for Quattro models. Promotional APR Offer Promotional APR programs available for qualified buyers. Please check with your CarsDirect Trusted Dealer for complete details.%NotesManuf% %Eligibility% Residents residing in qualifying regions of the United States. Audi Special Retail Rates are compatible with the Audi European Delivery Program/VIP and Diplomat Program Special Rate programs are compatible with Audi Rate Protection %Qualification% Vehicles must be new, untitled and unreported. O.A.C. Audi's ever-popular compact A4 continues the trend of being a technology-rich vehicle with upscale luxury features. While the 2019 model year brings some minor exterior updates, the A4 is still a great option in the luxury segment with its ideal blend of style, luxury, and technology. As with the majority of other Audis, the brand's legendary quattro system is standard on some trims, which brings all-weather capability to the masses. For 2019, the A4 gets minimal exterior changes, which include a redesigned front bumper and lower fascia. The rear bumper has also been updated with a new dual exhaust system. The A4 is offered with two engines. The base motor is a turbocharged 2.0-liter four-cylinder engine that makes 188 horsepower and 236 pound-feet of torque. 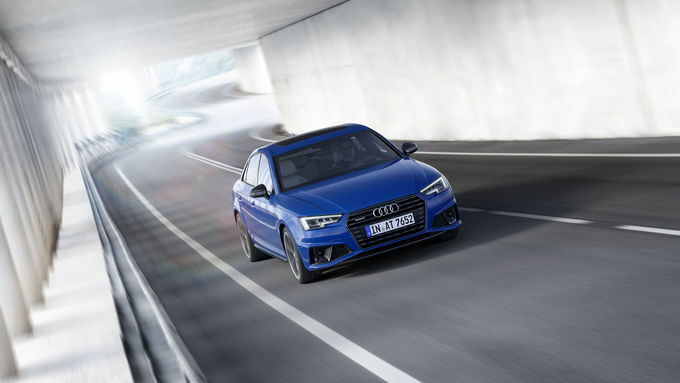 A seven-speed dual-clutch transmission is standard for the base A4, as is front-wheel drive. Oddly, models with the standard engine are referred to as “Ultra” models and are rated by the EPA to get up to 27 miles per gallon in the city, 34 mpg on the highway, and 30 mpg combined. A more powerful version of the engine is also available for an extra $4,600 throughout the entire lineup, and is rated to produce 248 hp and 273 lb-ft of torque. Once again, the engine is paired to a seven-speed dual-clutch transmission. Instead of sending power to the front wheels, the larger engine comes with all-wheel drive as standard. Ticking the box for the larger engine brings fuel economy down to 23/34/27 mpg (city/highway/combined). In terms of safety, the A4 isn't as feature packed as some of its competitors. The base A4 comes with Audi pre sense basic, which pretensions the front seat belts, automatically closes the side windows and sunroof, and turns on the hazard warning lights when it recognizes an accident is imminent. Other safety tech that's standard is Audi pre sense city that alerts drivers and automatically pushes the brakes if it senses an accident is going to occur. Pricing for the Premium trim with the base engine – it's officially called the 40 TFSI – starts at $38,395 (all prices include the destination charge). Adding the more powerful engine (45 TSFI) raises the price up to $42,995. Standard exterior features for the trim include xenon plus headlights, LED daytime running lights, automatic headlights, LED taillights, heated windshield washer nozzles, and dual exhaust outlets. On the inside, the base trim comes with three-zone automatic climate control, a tilt-and-telescopic steering column, a sunroof, an auto-dimming rearview mirror, leather upholstery, heated front seats, eight-way power front seats, and ambient LED interior lighting. Technology wise, the A4 comes with a seven-inch display, a 10-speaker audio system, a five-inch driver information system, Apple CarPlay and Android Auto, Bluetooth, a HomeLink garage door opener, a rearview camera, and two USB ports. There are two major packages for the base Premium. The Sport Package ($750) adds aluminum inlays, a black cloth headliner, front sport seats, and sport suspension. The Convenience Package ($1,500) brings a memory system for the front seats, an alarm system with a motion sensor, Audi's advanced key, a seven-inch driver information system, heated and auto-dimming side-view mirrors, and SiriusXM. The Premium Plus starts at $43,895. Standard features over the Premium trim include a 19-speaker Bang & Olufsen audio system, a seven-inch color driver information system, Audi connect Care assistance and security services, Audi's advanced key, front and rear parking sensors, Audi side assist with pre sense rear, automatic windshield wipers and headlights, a memory system for the driver's seat, shift paddles, dynamic headlight range adjustment, automatic headlight leveling, and full LED headlights. The Sport Package ($750) adds the same features as on lower trims, while the Cold Weather Package ($750) includes all-weather floor mats, heated rear seats, and a heated steering wheel. A Bang & Olufsen Sound System with 3D Sound costs $950. Going with the more powerful engine and all-wheel drive allows you to tick the box for the Black Optic Plus Package ($1,200), which adds 18-inch black wheels, red brake calipers, black side sill blades, a black rear lip spoiler, a flat bottom steering wheel, black exterior mirror housings, black inlays, a black optic exterior package, and red contrast stitching. The range-topping Prestige costs $47,195 and adds lane keeping assist, an 8.3-inch display, adaptive cruise control with stop and go and Traffic Jam assist, a head-up display, Audi virtual cockpit, traffic sign recognition, high beam assist, and dual pane acoustic glass as standard. The Prestige trim has a lot of the same available packages as lower models. Getting an Audi without all-wheel drive somehow feels wrong. 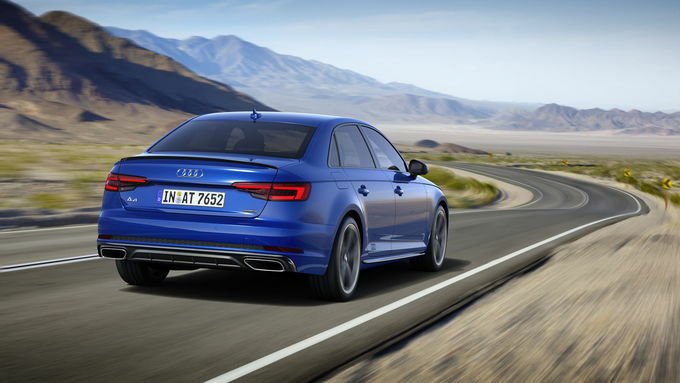 And the extra power and performance from the more powerful engine are worth the extra money, which is how we'd spec our 2019 Audi A4. With more safety and technology features, which is Audi's strong suit, we recommend going with the Premium Plus and ticking the box for the Cold Weather Package. 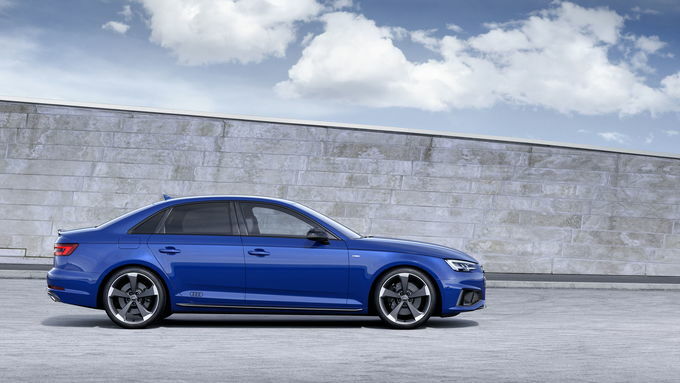 Long a mainstay of suburban decorum, the 2019 Audi A4 isn't here to turn heads, but don’t let its conservative exterior fool you. Underneath the shell is a sharp-handling car with Audi’s typical attention to technology and safety. With many luxury features coming standard, it’s not a bad value among luxury sedans. Between the A4’s three trims, the base Premium option offers the best value. Not only does it come with niceties like heated front seats and Apple CarPlay and Android Auto compatibility, but luxury extras like leather seats are included as well. Most base-spec luxury sedans use synthetic leather, and some brands charge fees for smartphone compatibility (we’re looking at you, BMW). Choosing an engine is a little more difficult. All A4’s use the same turbocharged four-cylinder, but power output varies depending on drivetrain. The cheapest way into an A4 is to opt for front-wheel drive, which lands you with the lesser tune. Upgrading to all-wheel drive costs a steep $4,600, but it includes an uprated engine. In our opinion, the extra power is worth it – the sharper engine is both confident and refined, matching a nimble but compliant ride. 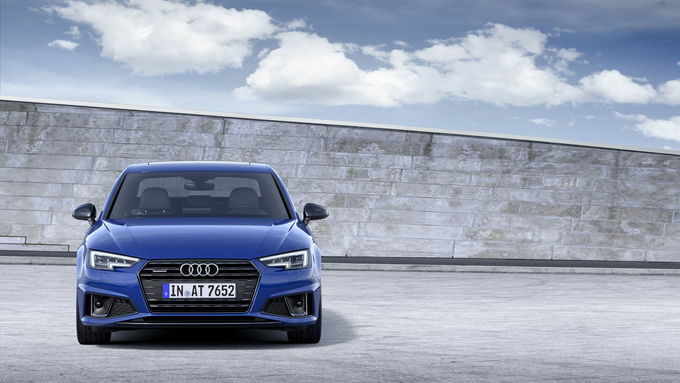 The A4’s hotter siblings, the S4 and RS4, usually get the sport-sedan street cred. But the A4 is no slouch – the steering is predictable and the chassis nimble, which is a breath of fresh air amidst the crossover craze. The uprated engine will likely be the more popular of the two, and deservedly so: with 248 hp, it’s capable of sending the A4 from zero to 60 mph in 5.6 seconds. Audi’s Quattro all-wheel-drive system is excellent in inclement weather, and the seven-speed automatic matches the engines refinement. An adaptive suspension is available for drivers who love to carve through curves. Audi has made light steering something of a trademark, but we don’t love it here. The A4’s agility would be lovely with a little more feedback from the wheels. Fuel economy also isn’t anything to write home about (the AWD version gets an EPA-estimated 27 miles per gallon combined), and there’s no hybrid or electric version on tap. The A4’s exterior styling isn’t bold, but it’s also not offensive. Larger tires and sculpted bumpers are standard for this year, but the A4 doesn’t look aggressive. Simple lines and a large grille are complemented by sharp creases that provide definition without being distracting. The interior is equally clean, but it feels airy and welcoming. 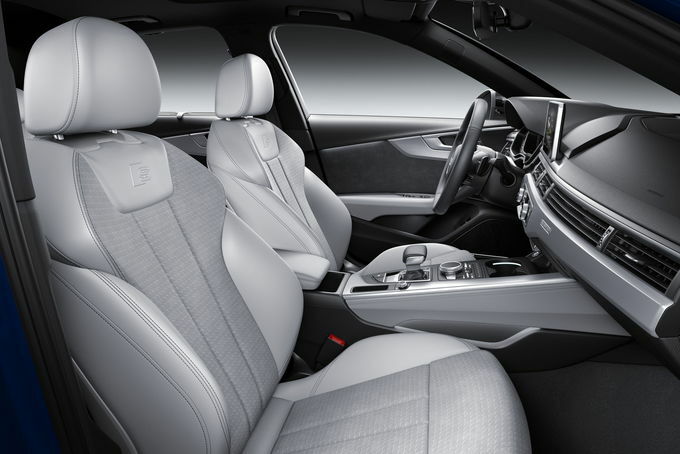 Seat comfort and visibility are excellent, and the interior fit and finish is what you’d expect from Audi. Rear passengers have plenty of leg room. The Audi A4 is also a safety leader, with sterling crash test scores and features like automatic emergency braking included standard. At 13 cubic feet, cargo space is acceptable but not exceptional. Neither is the infotainment interface, which still uses a rotary knob to interact with apps like Apple CarPlay. And while the exterior is tasteful, it still invites the complaint most frequently leveled at Audi: being a bit boring. Standard luxury, top-notch safety, and strong technology don’t often come with such pleasant handling. If Audi would stop numbing down the exterior (and the steering), the A4 would be hard to beat. The 2019 A4 is right for the professional who doesn’t need to advertise their credentials. The A4 is all about quiet competence, understated elegance, and poised versatility. It speaks for itself. On the other hand, drivers and buyers looking for flair may not find it here. Other luxury marques offer more striking rides, not to mention wider trim ranges with more frugal options. Much has been made of the death of the sedan, but brands like Audi still make a compelling case. 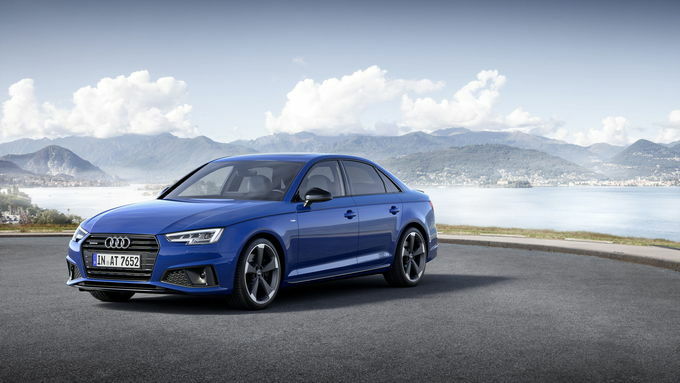 In fact, the 2019 Audi A4 may be one of the bright spots in automaker's lineup – pairing luxury and technology with confident on-road manners makes a tempting package. Add in a pristine safety record, and we think buyers will find plenty to like in the new A4.